December 15, 2009 – I was hosting my (getting to be) annual Christmas Cookie Exchange at my home this weekend and conversation turned to the “work” gift exchange – Secret Santa. While I think this idea has some very worthy potential, I think Secret Santa can go very VERY wrong. My first exposure to Secret Santa was in my small grade 5 class. We drew names and were told a price limit and the date of the gift exchange. I will fess up and say that I don’t remember what I gave. It probably involved some homemade chocolates which I gave as gifts pretty ritually around this time. But I do remember what I received: a giant (half my size and weight) Candy Cane! While my friends were opening boxes of chocolates, barrettes, ornaments, and mugs filled with hot chocolate, I was trying to figure out what kind of parent supervised or chose this gift. My mouth couldn’t even fit around the thing! I confess, it went into the garbage – packaging and all. 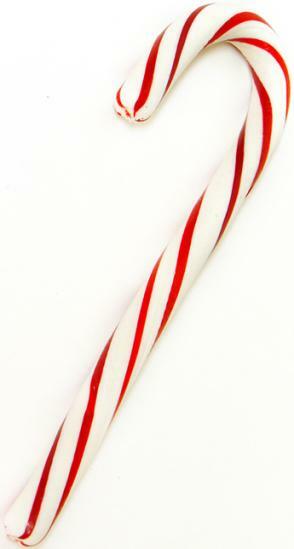 The following year, in grade six, the same person got my name again and gave me the same thing – another giant *&^%^%@# candy cane!! I was pretty sure I was cursed. Needlesstosay, I now hate Candy Canes. That is what a traumatic Secret Santa gift can do to a girl. So my obvious advice is stop buying generic crap like giant Candy Canes to fulfill your Secret Santa obligation. No matter the price limit, there are better gifts to give than bad chocolate, gross candy, and hideous plastic you-name-its. Here is where I toot my horn and all my artists horns – whether your limit is $2 or $25, Love, Me is stocked with great Secret Santa gifts. Trust me, let us help you and you will rock the Secret Santa and not gain a reputation as the dreaded Secret Santa (like my Candy Cane giver).